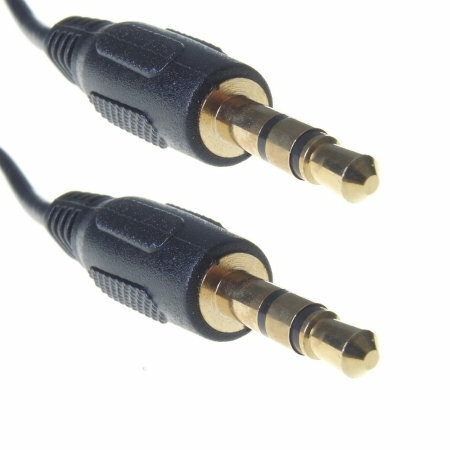 The 2 metre gold ended 3.5mm to 3.5mm Auxiliary cable lets you listen to music like never before and is the perfect solution for connecting your portable music player to your car or stereo's 'Aux in' socket. Didnn't work at all. Thought i was insane so I tried it with TV's in my house and the radios and nothing. not even a noise. We're sorry to hear your product didn't work. If you would like to try a replacement, please don't hesitate to contact our customer services team on 0844 249 5060 - they will be more than happy to help you. As the title says, awesome product at good price! What more can i say. Would recommend, using in ford focus with 6000cd stereo with AUX in and ipod. AWESOMENESS lies within!! Just purchased the cable to connect my Ipod Touch to my cars music system. It works brilliantly, would recommend this if you have a 3.5mm connection in your car. I can now listen to my podcasts on the way to work. A quality Hama cable at a good price (£2.97, free p&p over Easter Weekend). Arrived quickly and works very well in connecting my iPod Touch to the AUX socket on my car.